Yay! 100 likes on Facebook – thanks so much for your support. To celebrate, I’m offering a lucky liker the chance to Win a Cow! Competition closes at midnight on Friday 5th June 2015, and the lucky winner will be announced on Facebook on Saturday 6th. 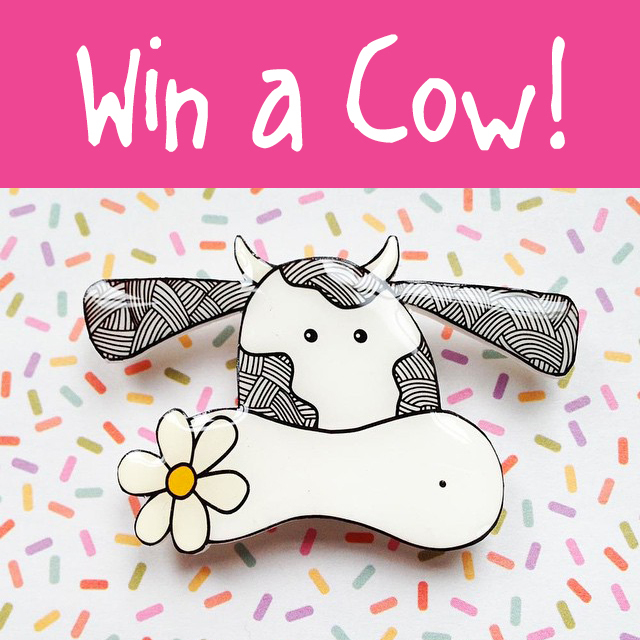 This entry was posted in Random Fun, Studio Scoop and tagged brooch, competition, cow, craft, facebook, handmade, like-to-win, prize, win-a-cow. Bookmark the permalink.